In many areas, a neighborhood is just a gathering of homes and families – a place where people retire at the end of the day. Riverside Village, on the other hand, strives to be a place where families truly live. 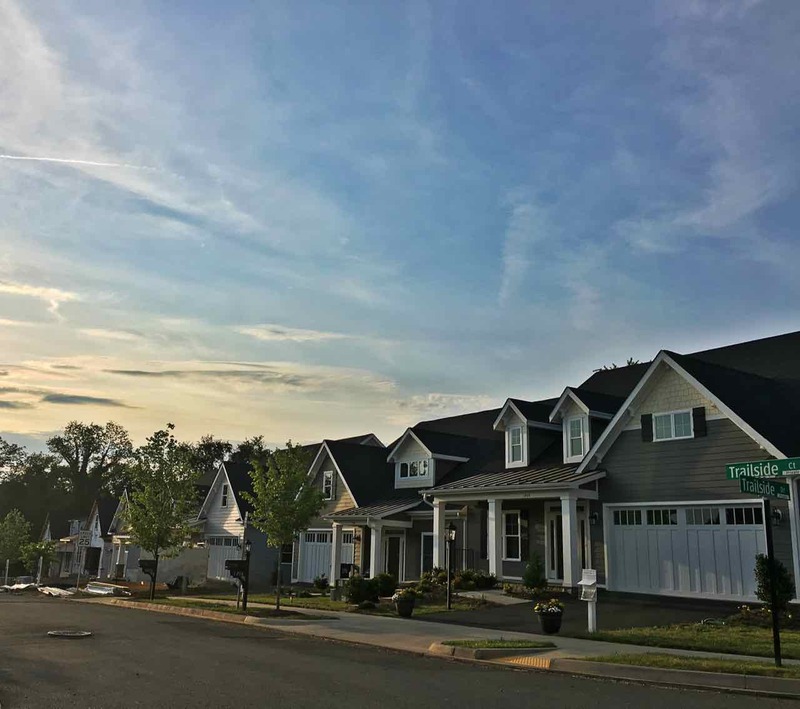 This brand-new neighborhood was established in 2o15 and offers a prime location just 2 miles outside of the city of Charlottesville, VA. Even with its proximity to city amenities, Riverside Village feels like a world of its own. 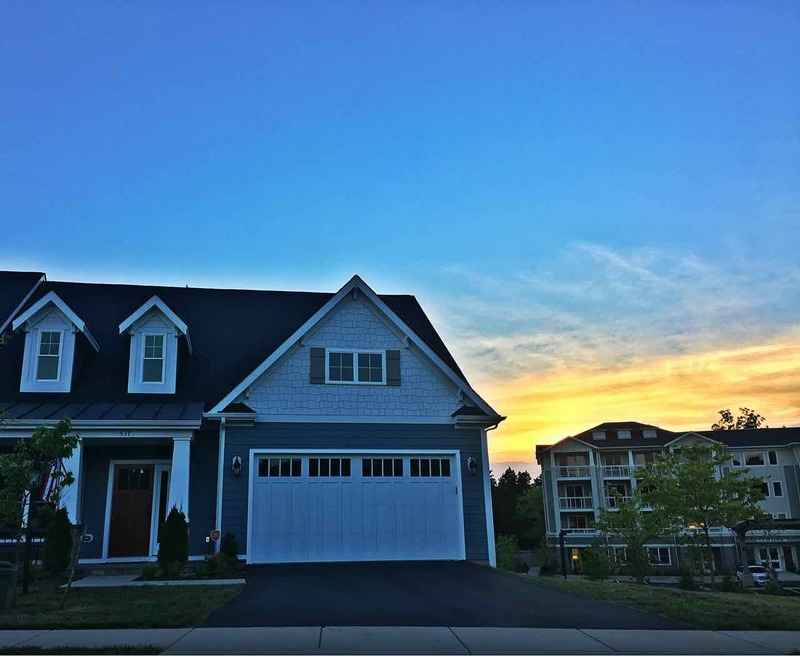 The community is quite literally surrounded by nature, with its Rivanna River views and access to the popular Rivanna Trail. Residents have access to shared green space within the community, as well as miles of walking and biking trails. In fact, these trails, while twisting through the forest and crossing over quaint wooden bridges, lead right into the heart of the Downtown Mall in Charlottesville. Those that explore them on bike enjoy just a 15-minute ride to reach all of those Downtown amenities. Detached home with a garage in Riverside Village. There is no need to leave the community for retail therapy or to grab a bite to eat, though. Riverside Village was designed in a way that seamlessly combines commercial and residential spaces. The neighborhood offers an included pedestrian mall, known as The Mew, which features retail establishments on the lower levels of buildings and residential spaces above (slated to be built in 2018). These businesses are designed to be close to all of the homes within Riverside Village and make it easy for residents live life with minimal vehicular usage, should they so choose. In addition to the apartments in The Mew, Riverside Village offers a variety of other housing types: beautifully designed townhouses, active adult duplexes (slated for 2018), spacious triplexes and efficient apartments. Further, a whole section of the community is dedicated to architecturally designed homes. The houses are built in a variety of styles, with many of them focusing on traditional Craftsman elements to give the neighborhood a cohesive look. Large front porches, thoughtfully designed floor plans and high-end finishes are just some of the elements that make these residences so desirable. All of the structures throughout Riverside Village are constructed using EarthCraft building materials, which not only makes them Earth-friendly, but also lowers traditional maintenance associated with ownership. Further, solar panels are incorporated throughout the Riverside Village to promote green energy. The builders, Stony Point Design/Build, had the vision to create a community that appealed to buyers of all types – those that are looking for city proximity, those that are searching for a strong sense of community and those that desire a sustainable neighborhood that is meant to last – and that is exactly what they did. Riverside Village New Mover Info. 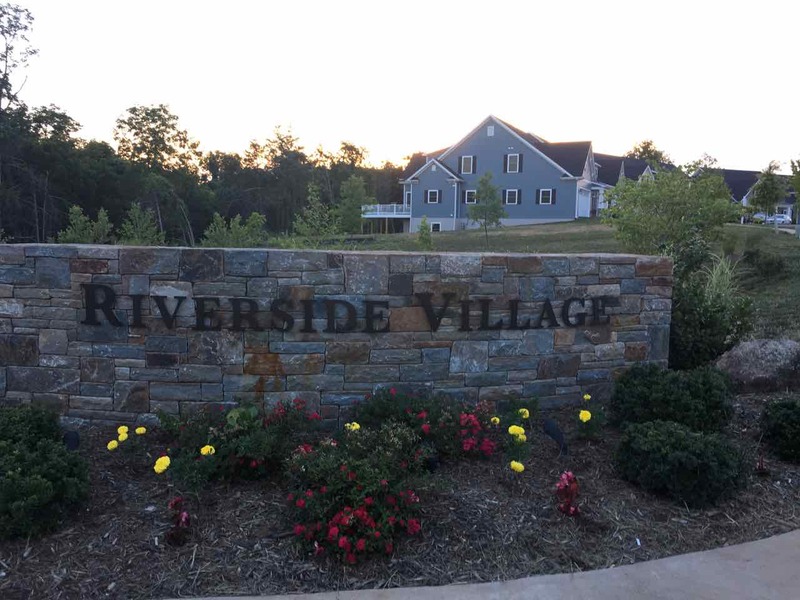 Riverside Village is in the Pantops area of Charlottesville approximately 3 miles west of Martha Jefferson Hospital and the Shadwell Exit of I64. Riverside is just off of Stony Point rd and adjacent to Darden Towe Park. 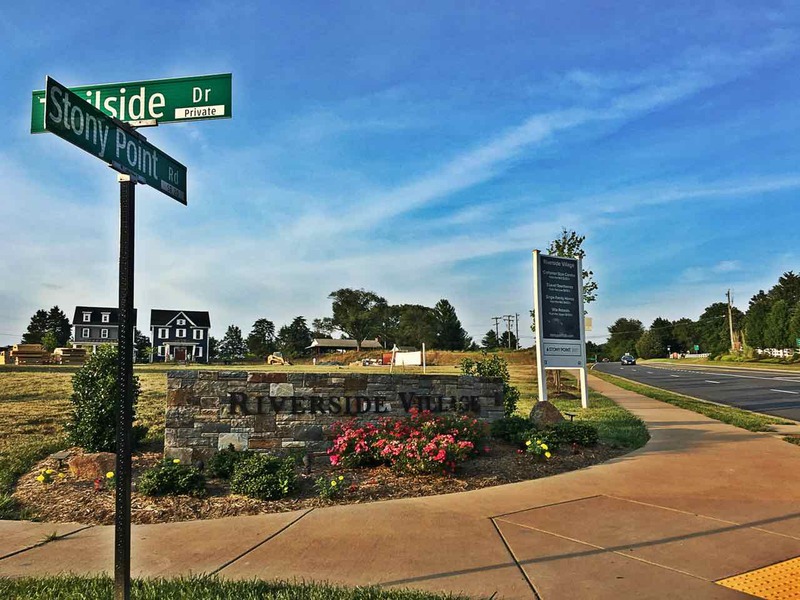 Riverside is only 3 miles from Downtown Charlottesville and is a popular neighborhood for people working at University of Virginia, UVA Health Systems, County of Albemarle, City of Charlottesville and State Farm. Residents of Riverside are in the Stone Robinson Elementary, Burley Middle, and Monticello High School Districts.